In Taoist (Daoist), Buddhist, and Wushu (martial arts) qigong training and internal exercises, the same approaches are also used to achieve a healthy mind and body. With a healthy mind and body, the higher levels of any achievement in any field can be accomplished because the foundation is strong enough to with stand the demands of continuous learning. Traditional Chinese Medicine (TCM) stresses, “To heal, look for the cause of the illness,” and is strongly opposed to “treating only the head if the head hurts, and treating the foot if the foot hurts.” The belief is that the development of illness is due to the battle between chi in the human body and pathogenic influences. That is, the causes of illnesses are due to an energetic imbalance within the body. Therefore, to treat any illness, we will either need to eliminate the pathogenic influence, and/or balance and strengthen the chi in the body. Under normal conditions, the human body is in an energetically balanced state that is capable of maintaining the physiological functions of the body and can adjust to changes in the environment. When the pathogenic influences are above and beyond the normal functioning of the body, the body is unable to adjust; the normal physiological functioning of the body will be destroyed, creating obstructions, which results in illness. That is to say, the occurrence of illness is not only strongly related to the pathogenic influences that attack the human body, but also it is also strongly dependent on the adaptability of the human body to the changing environment. If chi in the human body is strong, then it will be difficult for the pathogenic influences to adversely affect the body. Even if the pathogenic influence does attack the body, the abundance of chi increases the immunity of the body and prevents disease from occurring. Only when the chi is weak or deficient will the pathogenic influences be able to cause irregularities in the physiological systems and result in diseases. The TCM approach to treating illness includes the use of herbs, acupuncture, moxibustion, and massage to counteract the effects of pathogenic influences, thereby regaining health. Another approach would be to practice qigong and/or take herbs to strengthen the chi, thus improving the immunity of the body for fighting against the pathogenic influences. One of the ways doctors and healers can remove the physical manifestation of an illness is by balancing a patient’s energy; and prescribing external assistance such as drugs, herbs, or nutritional supplements. In drastic cases, surgical removal of the manifestation of the illness is necessary. However, it is up to the individual to work on maintaining the balance of energy within the body to prevent the illness from remanifesting in a similar or other form. External assistance is not a permanent solution to problems associated with energetic imbalance. Once the external assistance is removed or stopped, the individual’s body still may not have a natural response to prevent the illness. By practicing qigong, the natural response to establish balance within the body is achieved and strengthened, thus illness is prevented. 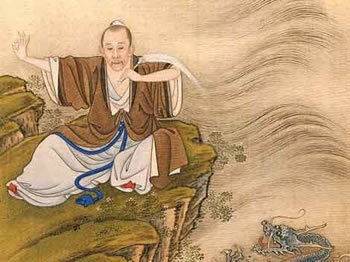 Qigong is one of the four pillars of traditional Chinese medicine: Acupuncture, Massage, Herbal Medicines and Qigong. Of these, Qigong is the one that can be most easily self-initiated. Both massage and herbal remedies can also be done as self care, however, Qigong is the mother of Chinese self-healing. Patients who use Qigong faithfully need less medication, less acupuncture and heal faster. The medicine of the Asian cultures, which once seemed so strange, useless and unsophisticated by the scientific standards of the 20th century European worldview, is now licensed as primary medical care in a number of states and is a solid component in an emerging “new medicine”. Oriental medicine is completely consistent with the supposed “new” idea in rational science that a person is more of a resonating field than a substance. The Chinese, however, never demanded the scientific proof that is now pouring forth; they just followed what they knew, from generations of experience, to be effective and real. Acupuncture has helped to needle science into the exploration and confirmation of important new information on the bioelectrical aspect of the human. It has played a significant role in the exciting and rapidly developing frontier of neurotransmitter biochemistry and is a central aspect of a revolutionary new treatment for addictions.